This week Drake released his highly-anticipated 'God's Plan' video, Quavo won MVP at a celebrity All Star game and Kanye West made a surprise appearance on stage. 1. 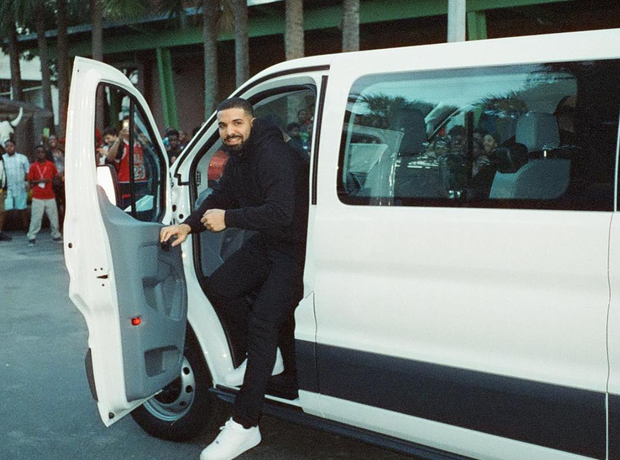 Drake shared a series of behind-the-scenes pictures from his 'God's Plan' video. 2. The rapper gave away almost $1 million to people in Miami. He said: "Me and Zo agreed we will be continuing our mission by including a state of the art studio when the expansion of the OYC commences...Alonzo and his wife are heroes thank you for having us." 5. Drake filmed an emotional scene with a mother and son. He said: "This was the toughest scene for me to try and keep it together. Mother and son with some of the strongest spirits I have encountered in my life. I pray you two continue to find the light and the fight within your bond. Blessed to have met you both." 6. Drizzy bought everybody's groceries in a supermarket. 10. Kanye West made a surprise appearance at NBA All Star Weekend. The rapper performed his song 'Father Stretch My Hands Pt. 1' on stage alongside good friend Kid Cudi. 11. Quavo won MVP at the celebrity All Star basketball game in LA.